Zenair Floats - Since 1985! Zenair floats on the Zenair Zipper Ultralight. Zenair’s trademark aluminum floats designed by Chris Heintz were first introduced in the mid 1980s with the remarkably strong yet lightweight #550 ultralight floats that weighed just 18 pounds each. These float sets were offered as kits or as ready-to-install fully assembled pontoons; they were popular with owners of true ultalights who appreciated their good looks and excellent handling characteristics, including the ability to carry most of their own weight is straight-and-level flight. Soon, #750 floats were introduced for two-place ultralights, then #950 and #1150 for light recreational aircraft. Amphibious designs followed shortly thereafter. In the early 1990's, Zenair introduced its largest float designs for heavier and faster aircraft; these too, were offered as kits, both as straight floats and as amphibious models. The production of Zenair Floats™ was moved from Canada to Europe in the mid-nineties and most popular float sizes were manufactured there for the next ten years. In 2009, manufacturing once again returned to the Zenair factory in Midland, Ontario. Zenair's amphibious models and larger #2200 and #2500 floats were improved and re-introduced at that time. Float flyers could now expect faster service, lower shipping costs, and the use of standard North American hardware throughout. The superior design of the well-known Zenair Floats keeps getting better! 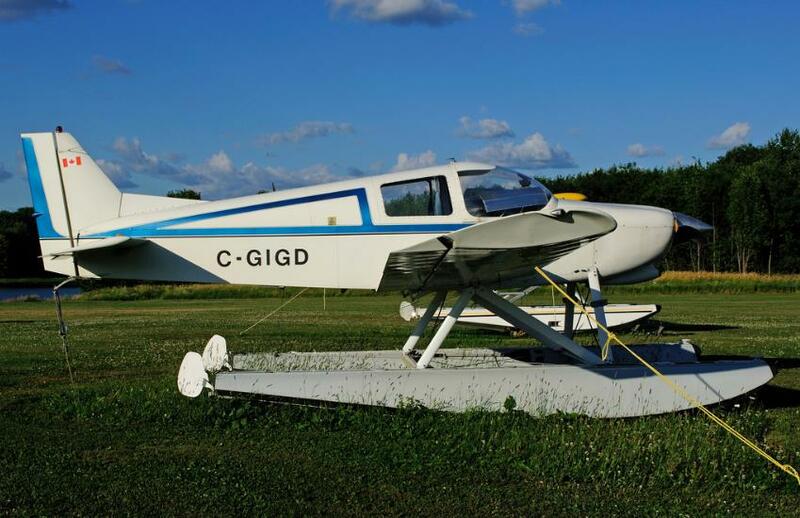 A floatplane is the definitive way to bring FUN back to recreational flying. Float flying adds a completely new perspective to aviation - with exciting new challenges and peaceful, quiet interludes on the water. Zenair Floats on the STOL CH 701 in 1988. Zenith CH300 on #1900 Zenair floats. Built in 1992. Today, Zenair Floats are installed on a wide variety of aircraft designs. Complete rigging kits are available from Zenair to mount the floats to most light aircraft model; basic components such as stream-lined spreader-bars and specialized fittings are also available for custom float installations. Redesigned Zenair floats with amphibious system. Zenair Floats - not just for ultralights anymore! Aircraft Floats Manufacturing Inc. (AFM) started taking a more active role in the promotion and distribution of Zenair Floats in early 2012. Since 2013, all Zenair Floats kits are now sold through Aircraft Floats manufacturing Inc. In Canada, Zenair float kits may also be assembled by one of these independent "Build-Centers". Some can even assist with float rigging and installations. Call for details.